It's amazing how quickly a month can fly by! I love taking the time each month to reflect on the past month and look forward to the next- it helps me stay motivated and focused on the most important things I want to accomplish. I'm linking up with Jennifer from The Yellow Brick Road to do just that- I hope you'll join us in taking a moment to reflect! Click on the picture below to see what Jennifer is up to this month, and leave a comment below to share your own thoughts and goals. My small goals last month were to clean the house, choose my choirs' repertoire, and make progress on my 2017-2018 teacher planners. I honestly didn't get as much done on each of these as I hoped, but I did at least do some work on each of them, so I'm going to call that a win. I hesitate to make this a goal because it may not be realistic, but I would really like to at least make some progress on filing my taxes this month. I'm still kindof learning how to do all of this stuff, so I know it's going to take some time (also I avoid anything related to money management like the plague so I know I need extra motivation to actually do it). The last 2 weeks in my school have been wacky. I don't know why but the students and staff have all been on edge and we've all been getting on each other's nerves. Everybody is grumpy. I need to remember to keep responding to negativity, hurt, anger, and stress with grace and peace, even when I feel like I've already done that 7 million times that day. That's it for me! 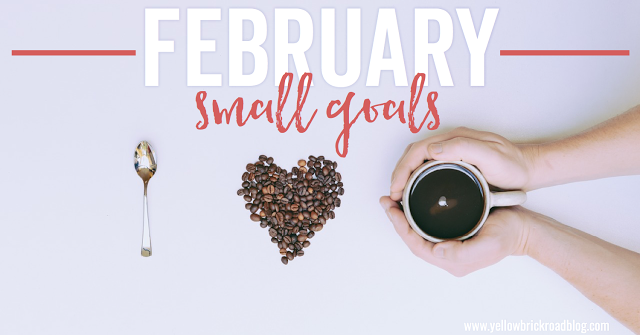 Looking for more inspiration to get your month going? Head over to Jennifer's post. Ready to share your goals with the world? Leave a comment below. Want to stay informed about what I'm up to? Sign up below for my monthly newsletter, or sign up over on the right side of this page to have every post sent straight to your email inbox! Want more? Come join the family! Click here to sign up for the Organized Chaos newsletter and get ideas and resources sent straight to your inbox!